Parade tells the real-life story of Leo Frank, a Brooklyn jew living in Georgia with his wife. In 1913, he was convicted of murdering a 13-year-old girl, Mary Phagan. Not the most cheerful subject matter for an all-singing, all-dancing musical with score by Jason Robert Brown (The Last Five Years, The Bridges of Madison County). However, No Scripts on the Night productions have managed to create a show which is moving without being mawkish, and exuberant without being callous. All members of the cast gave strong performances, particularly Alex Wickens as Leo Frank and Niamh Furey as his stalwart wife Lucille (Furey’s songs were some of the highlights of the evening). Niall Docherty also impressed in the contrasting roles of sympathetic, well-meaning Governor Slaton and ruthless journalist Britt Craig, particularly his second-half number “Pretty Music”. The American accents were much better than I had feared. The cast and band acquitted themselves well musically, dealing with what was clearly a difficult score. Sound problems plagued several sections of the show, but have hopefully been improved upon after the first night. The Keble O’Reilly is a difficult place to stage musical productions, and the band (particularly the drums) were often inevitably too loud for the ensemble numbers which were unmiked, but the principal songs were often excellent. Isabella Ogilvie-Smith, co-director and choreographer, is presumably to be thanked for some of the most original and professional dance routines I have ever seen in a student production. Again, Niall Docherty stood out, but the whole ensemble showed considerable talent. If anything, there were slightly too many routines, occasionally grating with the action being discussed onstage, but most helped to bring enthusiasm and excitement to the text. Parade is a well-crafted show; the book and score work together well to create different moods: at times optimistic, foreboding, threatening, and back to optimism again. This production does it justice in every aspect and, after ironing out some of the sound kinks, creates a compelling, emotional story of the perils of not fitting in in the Deep South, the strength of perseverence for love, and the state of human dignity. 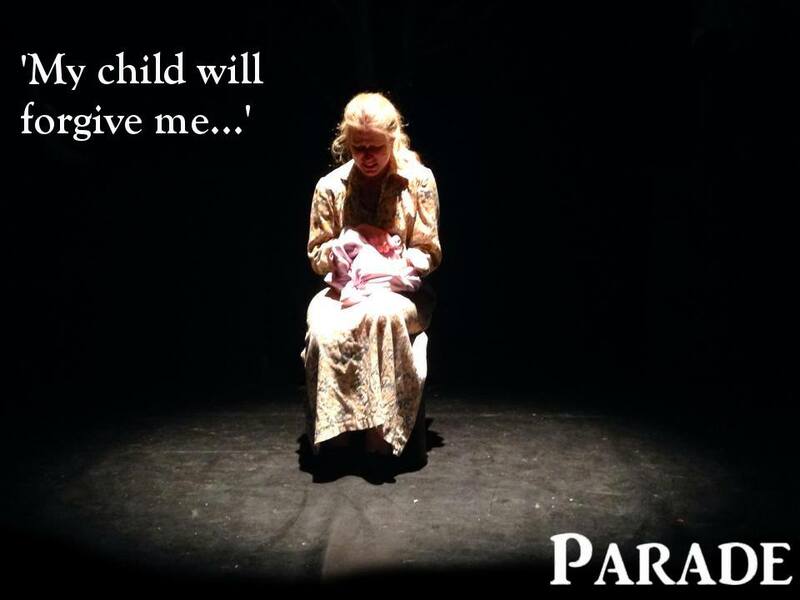 Parade‘s final performances are at 2.30pm and 7.30pm today. Tickets are available here.